On Tuesdays we are thrilled to fling open the doors to all of YOU! We love hearing your dreaming stories…the lessons you’ve learned, the roads you’ve walked, the dreams He’s planted in your hearts! Today we are so excited to have Ashley Mafima join us and share the reminder of Who guides us in our dreams. That’s what makes our story, our journey, so incredible…no matter what those dreams look like! Discovering my “God-sized Dream” has been a life-long process in and of itself. Some people know rather quickly in life what their dreams, gifts, talents and callings are – while others may have to dig a little deeper to uncover the “God-sized Dream” of their hearts. I find myself in good company with the latter. Nothing about this journey has come swiftly or without a great deal of soul-searching along the way. Maybe that is part of the dream – to wrestle with God and come out with a bit of a limp, like Jacob did. I’ve heard it said, “Be weary of a leader who walks without a limp.” Meaning, be careful not to follow after one who hasn’t gone a round or two with God in the dark night of the soul, where you question your core beliefs and emerge with a new identity in Christ. I like to have a plan – a “blueprint” of sorts that tells me how to get from Point A to Point B. Our 21st century technology has us accustomed to using a GPS while traveling to a new place. Just plug in the address, and Lord willing, with no glitches – you arrive safe and sound along the chartered path. Sometimes it all seems so disjointed, and I wonder, “How does this fit together?” Or, “What was the point of that place, job, season, relationship, etc. (you fill in the blank! )” Yet, I find comfort in the fact that God is weaving a beautiful tapestry with these seemingly “random” events of my life.Nothing goes to waste in the Kingdom of God! He is famous for bringing beauty from the ashes of life. (<====Tweet this.) In fact, He delights in this process of transformation, I believe. I am a lover of all things “fairy-tale” (and Royal Family). In any good story there is an element of ash – something that needs to be swept up; or dies and needs to be brought back to life. Resurrected. Think Cinderella who literally sweeps the ashes and earns the nickname from the cinder she cleans! Or Aurora (aka Sleeping Beauty) who is doomed to sleep until revived by True Love’s Kiss. Maybe that explains our fascination with royalty and a “Knight in Shining Armor” coming to the rescue. It’s a picture of who we are in Christ. It’s our story. A world of “make-believe” is dreamlike as a child; yet as believers in Christ we glory in the truth that we serve a Living King who reigns forever and ever. 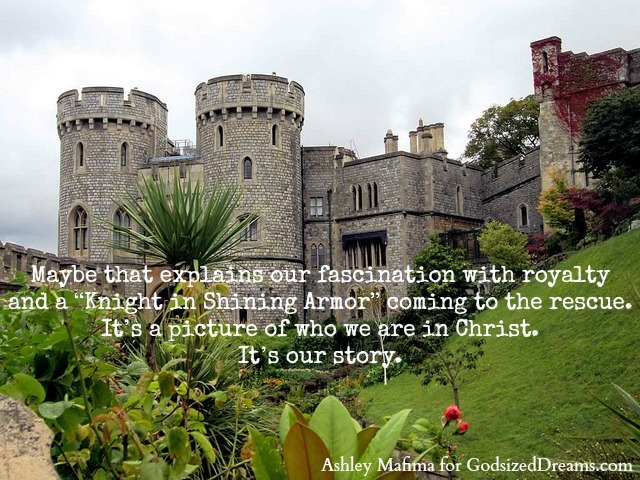 His Kingdom is a reality that supersedes imagination. The path to my “God-sized Dream” may seem incongruent, with twists and turns along the way. However, I’m learning to accept this and enjoy the journey of my own “fairy-tale” with a leading Prince by my side. 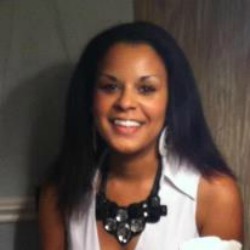 Ashley Mafima lives in Fort Worth, Texas. She is grateful for the promise that God gives beauty for ashes (Isaiah 61). Connect with Ashley on Twitter, Facebook, Pinterest, and Instagram. Greetings, Ashley, from another girl from Cowtown! I love the correlation between the fairy tales and our story in Christ. I never thought of it before. But how wonderful to have a God who protects us and sweeps out the ash of our life and sweeps us right off our feet! And the beauty is that He is real! Loved reading your post today. Hi Sabra – love your name, by the way! Thank you so much for taking the time to read and for your encouraging comment! I’m glad God revealed something new to you! I love when He does that so intentionally in our lives. Blessings to you as you continue on your dream journey with Him! So proud of this beautiful article, sister!! And I still love the imagery of the ashes of our lives being swept up by out Jesus who can redeem ANYTHING! The Lord has reminded me three different times this week that He is in the details of my life and nothing is random. He is watching over it all. Like Ezra, we can be encouraged because “the hand of the Lord our God is upon us”! Thanks for sharing your heart to encourage and blessed others, Ashley!! Ashley, you have been such a supporter of the site (thank you for all the tweets!) – and we are thrilled to have you as our guest poster today! !